Hey, I hope I don’t forget to post something on Instagram today. Oops, did I just forget to share my latest blog post on that Facebook group share day – again? Um, wow congrats to me for getting 100 new email subscribers! I really should send a newsletter out. It’s been like 2 months! I can’t forget to schedule my pins on Pinterest this week like I did last week… It’s weird, it’s been like 30 days since I came up with that great product idea, but I haven’t done anything with it yet. There’s no time! Any of that sound familiar? 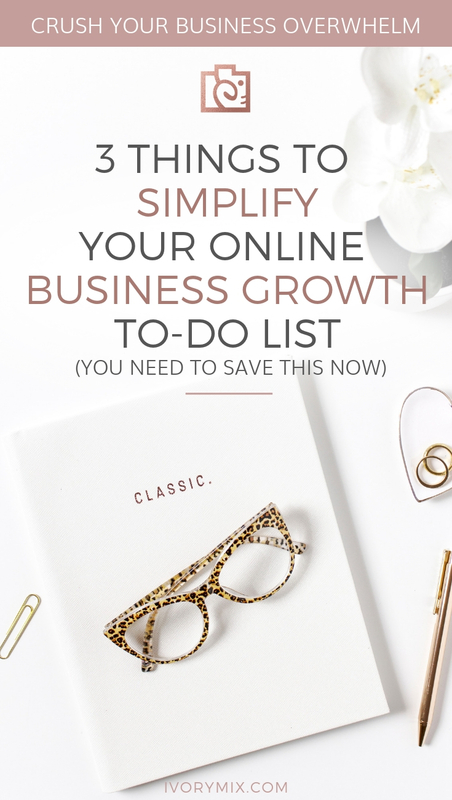 There are countless distractions online, and if you’re not careful as an online business owner, you could spend the next 12 months on a to-do list and not make a single penny more because you’re spending it on things you think you “need” to do. Forget everything. Start over. I’m serious. 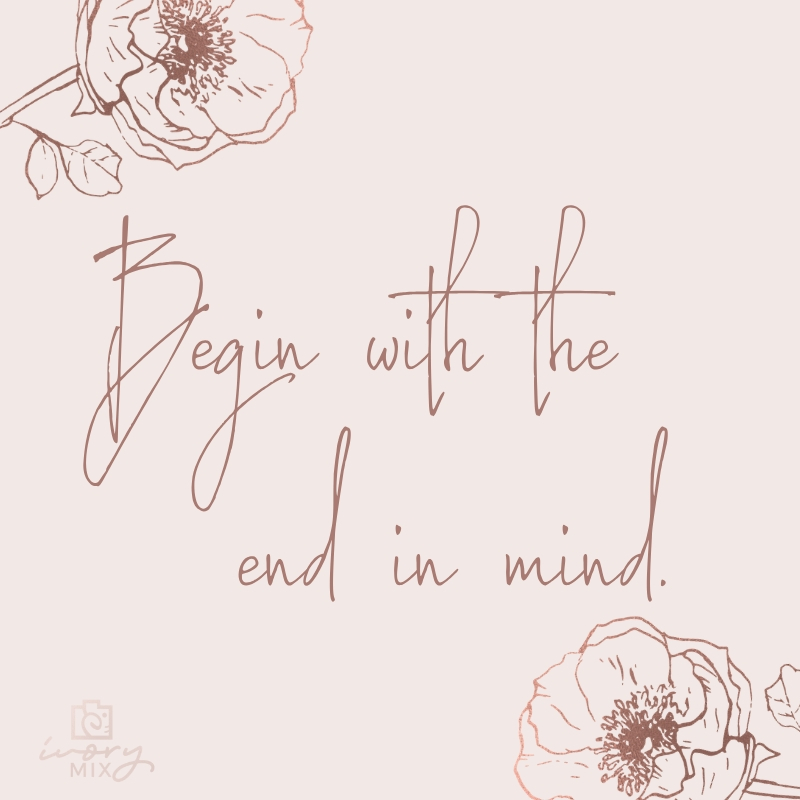 You came to this post because you are overwhelmed and I’m here to tell you-you’re focusing on way too many things when there are only three (3) things you will ever need to do or think about in your business from this day forward. Whether you’re starting a new business or growing your existing business, these are the only 3 things you need to focus on, ever. I know that having a nice look Instagram feed is a wonderful thing to have. It builds your brand recognition, makes you look like you’ve got your act together, and generally feels good. 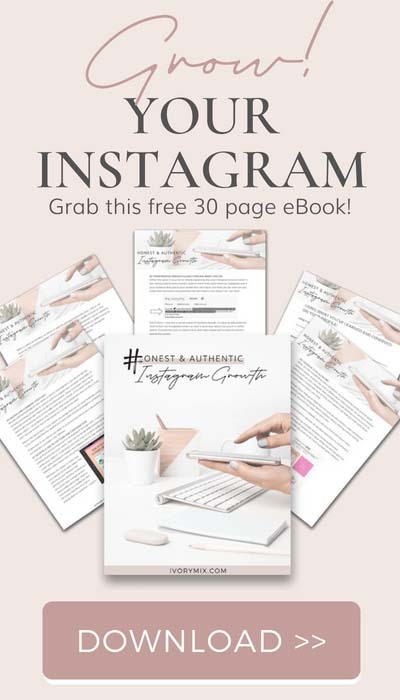 But, if your Instagram grid is stressing you out because you can’t make time to profit from your efforts – then you’ve got your business priorities all upside down and just wrong. 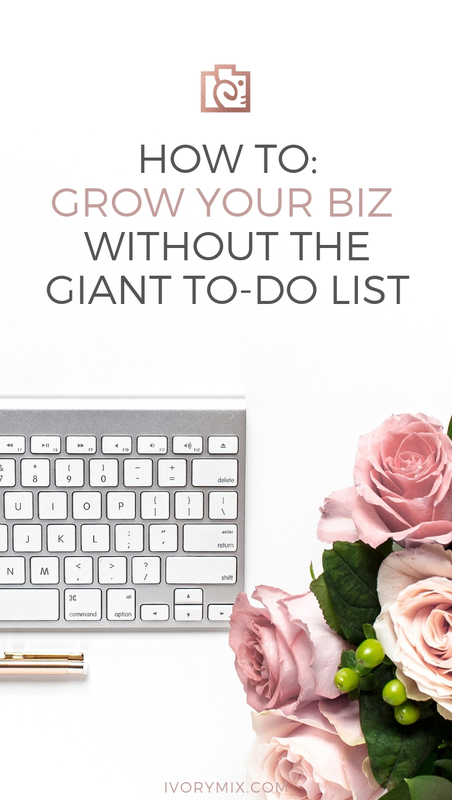 The same goes for that list of email subscribers you’re growing, those blog posts you’re writing week after week, or those Pinterest pins you just spent many hours perfecting. Unless you are clear on these three (3) things, you may be wasting your time. As online business owners, the “END” is making a sale and as the business owner, why aren’t you focusing on your highest revenue and profit generating activities FIRST? The funny thing is, I don’t know what your business is but I already know what your highest profit generating activities are. It doesn’t matter who you are or what business you have. Even a business that makes most of its income from affiliate marketing uses this same business math, so stick with me! Here’s an example of how this business math works when you apply real numbers to it. The math may seem pretty simple and may not seem that powerful right now, but just wait, it gets better! What if you put in a little more effort to increase those numbers by just 10%? Let’s see what happens to your total business income when you increase everything by 10%. Did you see how slight differences can make in your business income? By adding just 10% more in each category, your business income just grew by $662. That’s a 33% growth! It’s amazing how 10% improvements across the board can make a BIG difference! 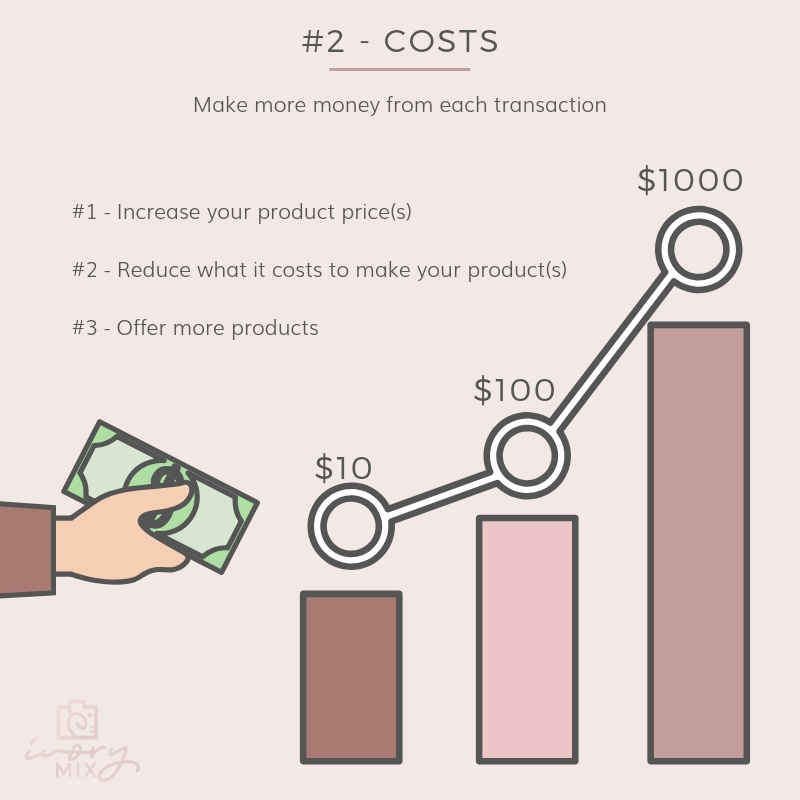 What if you doubled the average price per product sold? Now, it’s your turn. Pull up a calculator and start playing with your numbers. How much is each of your customers spending on your product(s) in each transaction? How often are your customers coming back to buy more product(s)? Understanding your business math can dramatically impact how you look at each activity in your business. 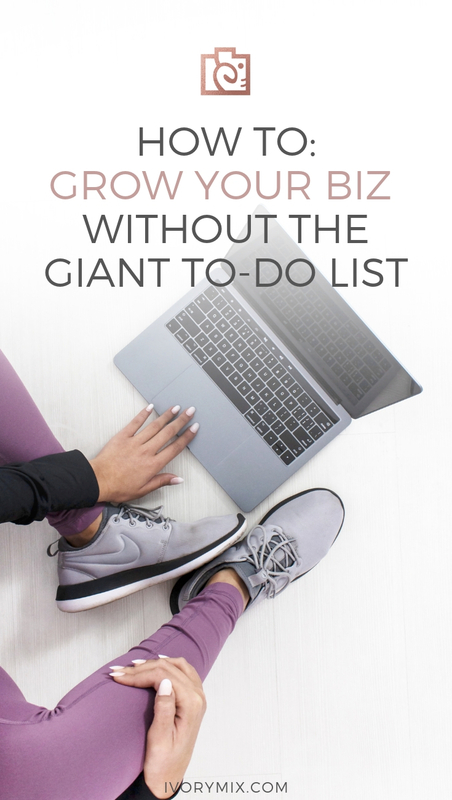 If any activity on your current to-do list or schedule isn’t working you closer towards an your real business goals (customers, costs, conversions), then stop wasting your time on it OR start figuring out how the activity can be changed to help you. Start scheduling your real priorities. 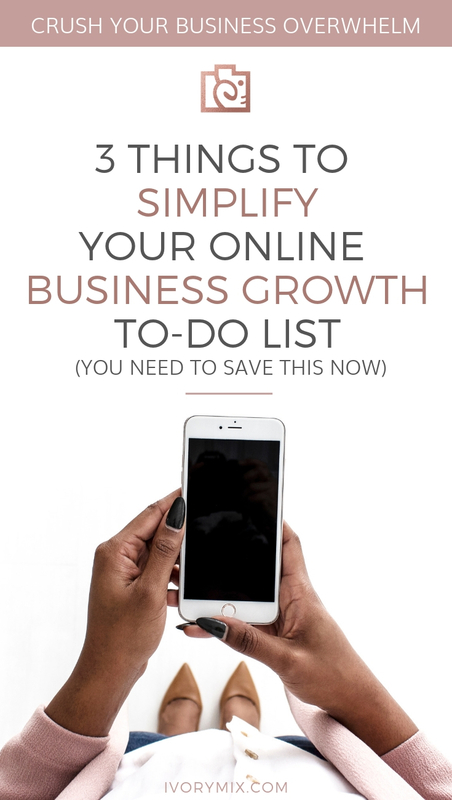 Far too many new online business owners focus on a list of things they think they should be doing buy don’t really know how it’s impacting their goals. You’re wasting your time if you don’t focus your business to-do list on these top three C’s in your business. Unless you can truly articulate what your Instagram, Pinterest, Blogging, or Email Marketing strategies are doing for your business to reach your goals, then I strongly recommend you stop wasting your effort on any of those and get these 3 things at the top of your mind first. These three (3) C’s are the only things you ever need to focus on in growing a profitable business this year, next year, and forever. There are three really important things you need to keep on a post-it note and remember to do at all times. Once you do these three things, you will reach and smash your business goals every single day, month, and year. How do you get more customers? Most online businesses get customers through a funnel of some kind and that usually starts with traffic to blog posts and landing pages. Everything you do comes down to conversion and depending on what business you’re in, there are average conversion rates for basically everything. For instance, if you knew your sales page converted 10% of its visitors then you could either 1) send more people to your sales page or 2) improve the conversions from 10% to 15%. Both of those activities will grow your profit. It‘s simple math that can grow your business. 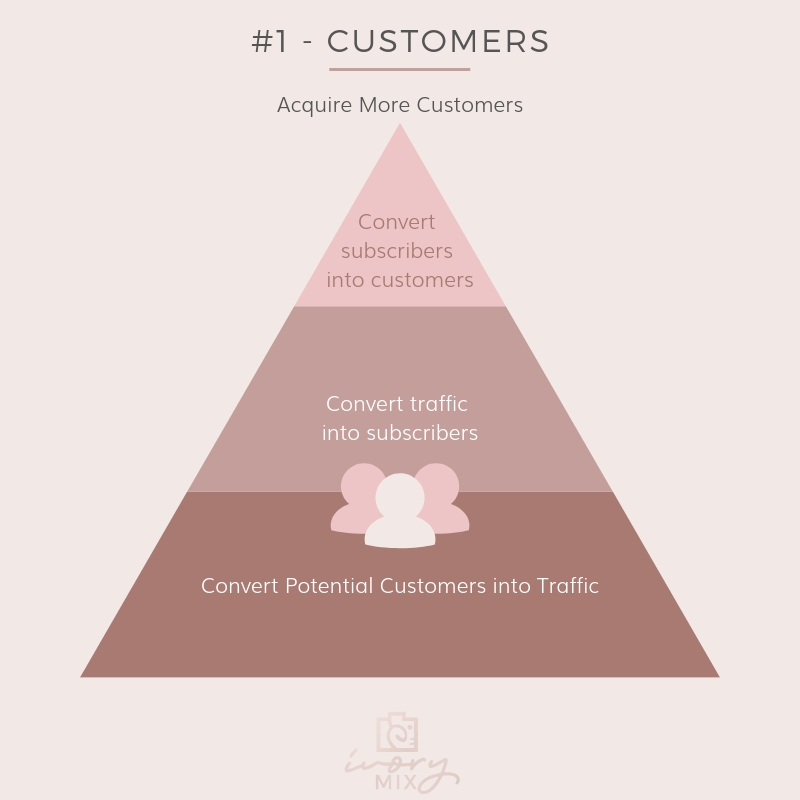 If you can figure out how to convert more people into traffic, subscribers, and customers (and do it more efficiently) you’ll really start to positively impact your business goals! The next C in your new 3C strategy is cost. Not just your business costs, but how much you’re charging for your products, what types of products you’re offering and more. The goal is to simply make more in each transaction. In order to do that, you can have your customers spend more during a single transaction or you can save more money. This is a straight forward concept, but the more you increase the amount you make from an average transaction, the more likely your business income will grow. Especially if you combine it with these other strategies in the 3C strategy. Someone who has already purchased something from you is more likely to buy from you again, and to top it off, they’ll likely spend 300 % more and will buy your higher priced products (according to RJ Metrix). 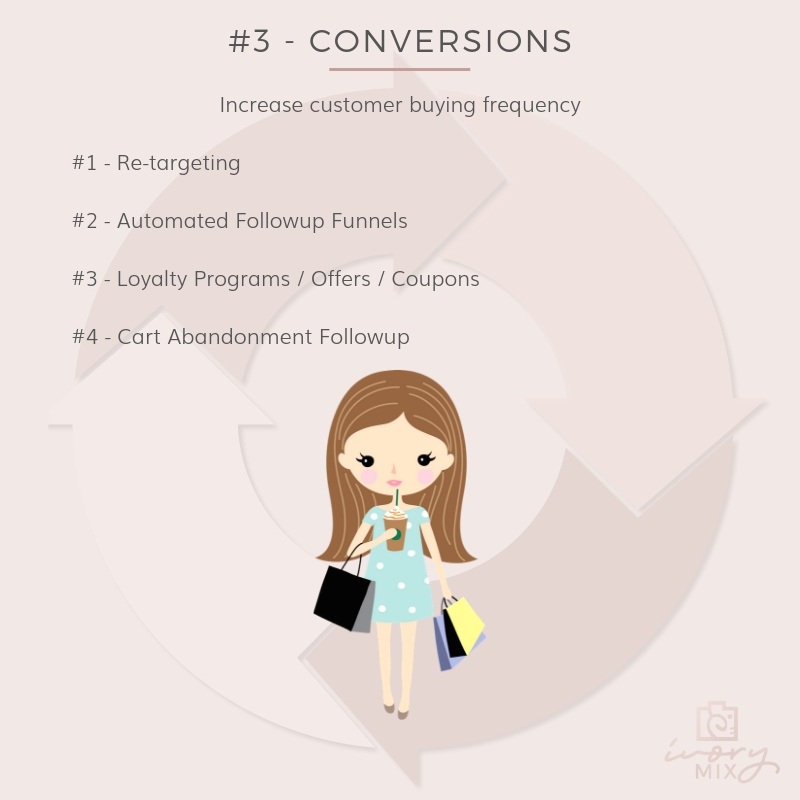 The act of retargeting existing customers can save you some money too because acquiring new customers costs 5 to 10 times more than selling to a current customer. 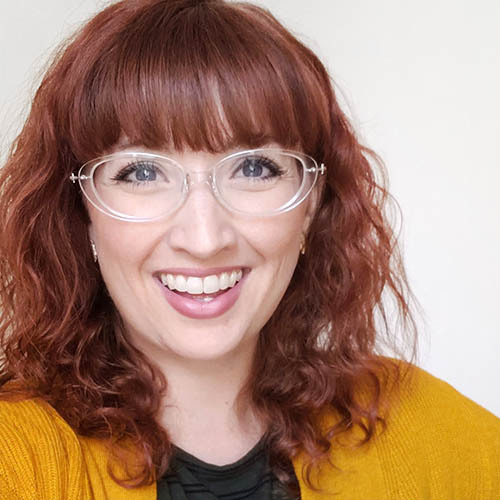 These are all simple reasons why you should spend a lot more time marketing and retargeting existing customers to purchase more products from you than you probably are! Repeat after me: More doesn’t equal more. If you can reach the right people, at the right time, with the right message, you’ll reach your profit goals. You must reach them and convert them. If you can get these right, then everything in your business suddenly becomes easy and your to-do list became very short! As you can see, there are thousands of ways to do this online business thing, which is why new online business owners spread themselves so thin and try to tackle as much of it as possible. It’s assumed that doing it all is just part of the hustle, right? Wrong. I think you would agree by now, most small businesses would benefit from some serious focus. Imagine that you only have so much energy to fuel your day in your small business and at the end of the day, you want to reach a goal. If you use up your big ball of energy and spread it across many tasks, you’ll find yourself struggling to reach the goal. 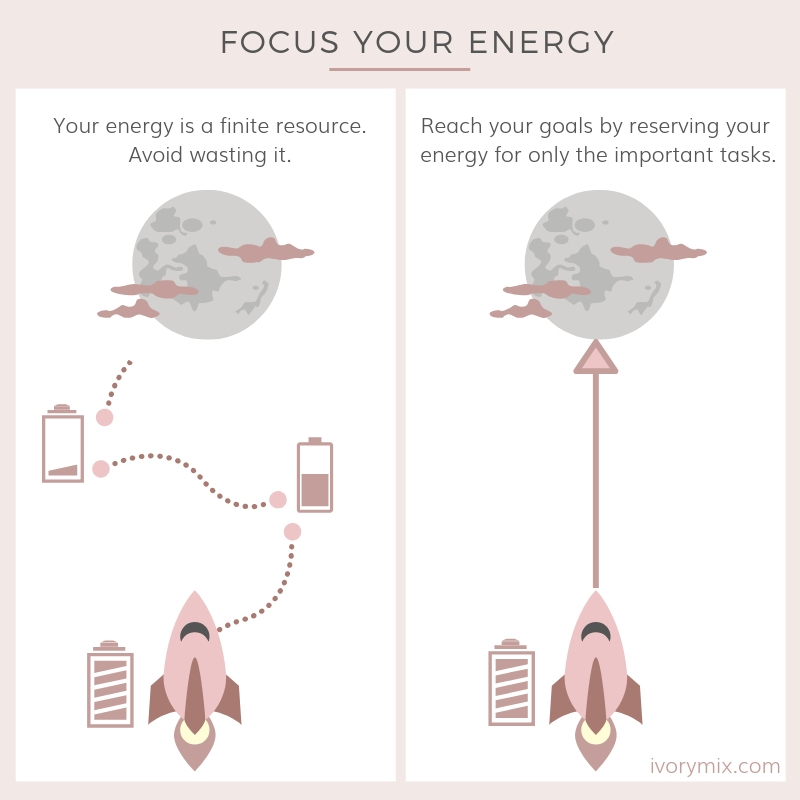 But, if you would have just focused all of your energy on just one thing that you know you can do really well, then you would save yourself a lot of energy wouldn’t you? You could then use that energy to apply your best self to those few things in order to reach your goal much faster and with more certainty. Customers – Will this help me acquire more customers? Costs – Will this increase my income from each customer purchase? Conversions – Will this increase the frequency my customers buy from me? Will my energy be well spent on this________? Am I the best person to do this or will I make more progress outsourcing it? If there are things in your business that are necessary, but that are keeping you from growing in the right direction, it might be time to outsource or get new resources, tools, or skills. Most experienced business owners know that it’s smart to invest in resources that help you build momentum and energy quickly. You’ll find that there are many services, resources, and skills to learn that can directly improve your 3C Strategy. For instance, a VIP stock photo membership from Ivory Mix gives you access to thousands of cohesive stock photos that can help you save time creating stunning cohesive visuals. You can use them for your branding, social media marketing, your website, landing pages, digital products for sale, digital product freebies to grow your email list, your client projects, and of course marketing your business in advertising. Don’t leave this page without simplifying your goals! The best time to start is now. 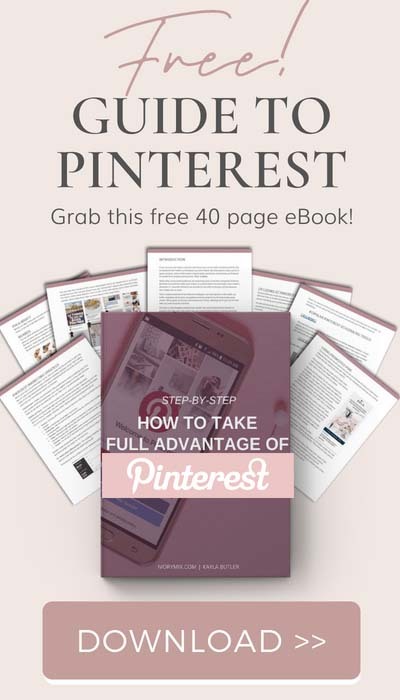 Grab the free guided worksheets to help you stay focused. Click here to download the business goals worksheets. Have specific goals in mind? 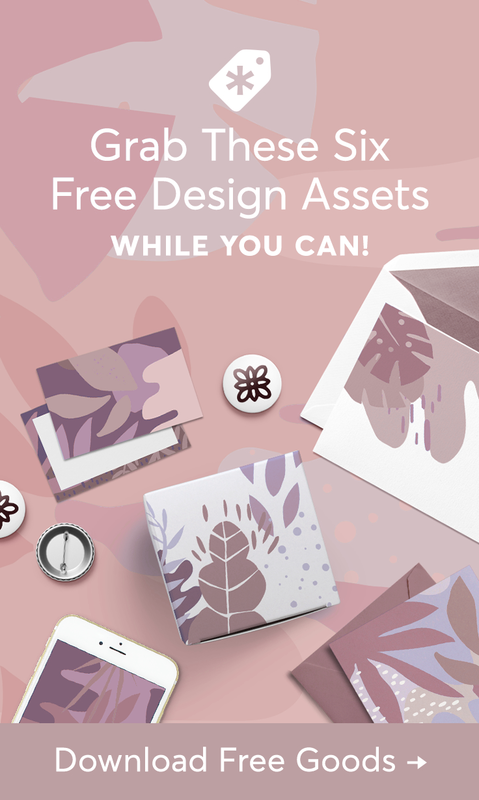 Be sure to grab any one of my free resources. Just remember to not overdo it and to keep your to-do list aligned with the 3C strategy!